Back o' the Fridge is a mixed vegetable casserole with assorted bright mattes and satins, shards of silver foil. 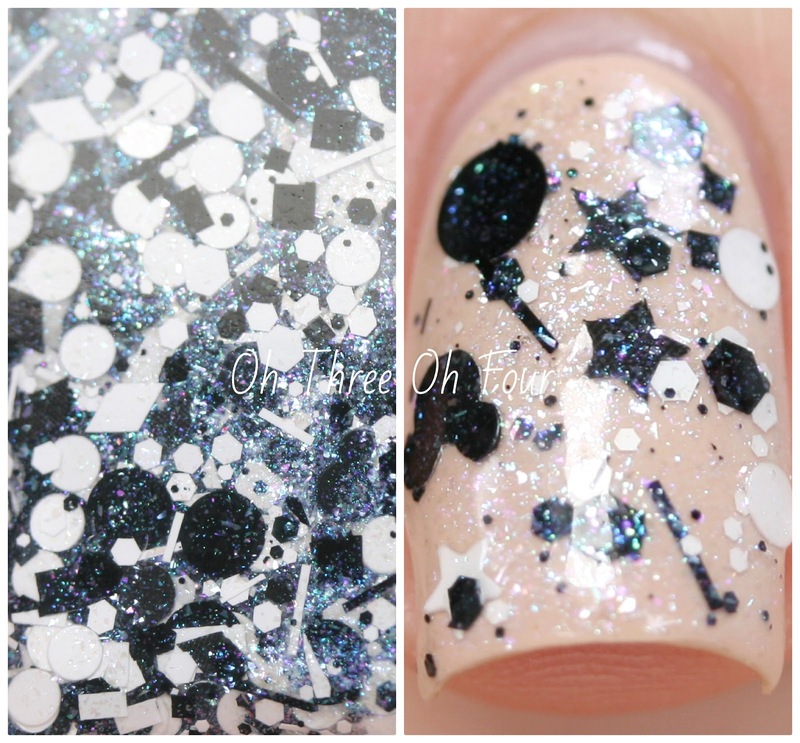 Peppered with black and white glitter and dressed with white and aqua shimmer all in a clear base. Shown is 2 coats over 2 coats of Zoya Taylor. Clubbin’ is a multi-glitter polish containing almost-neon red clubs with assorted black, white, red, pink and tiny yellow glitter in a clear pink-shimmered base. All nails are 3 coats of Zoya Rue with 2 coats of Clubbin'. Connect the Spots is made with assorted matte and satin dots accented with a few hexagons in a clear base with multi-shimmer. 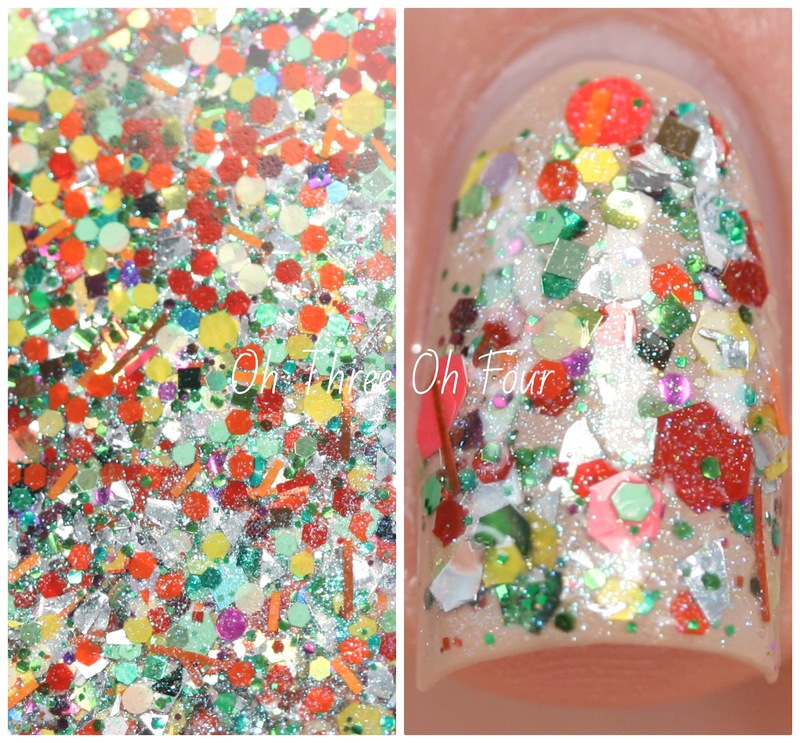 These photos show 2 coats of Connect the Spots over 2 coats of Zoya Odette. Mickey Connects the Dots contains black and white glitters including Mickey heads and dots in a clear multi-shimmered base. All nails are 2 coats over 2 coats of Zoya Chantal. Mince is made with burgundy, white and multi-glitter with intense chartreuse shimmer and a clear base. Shown is 2 coats over 2 coats of Zoya Normani. 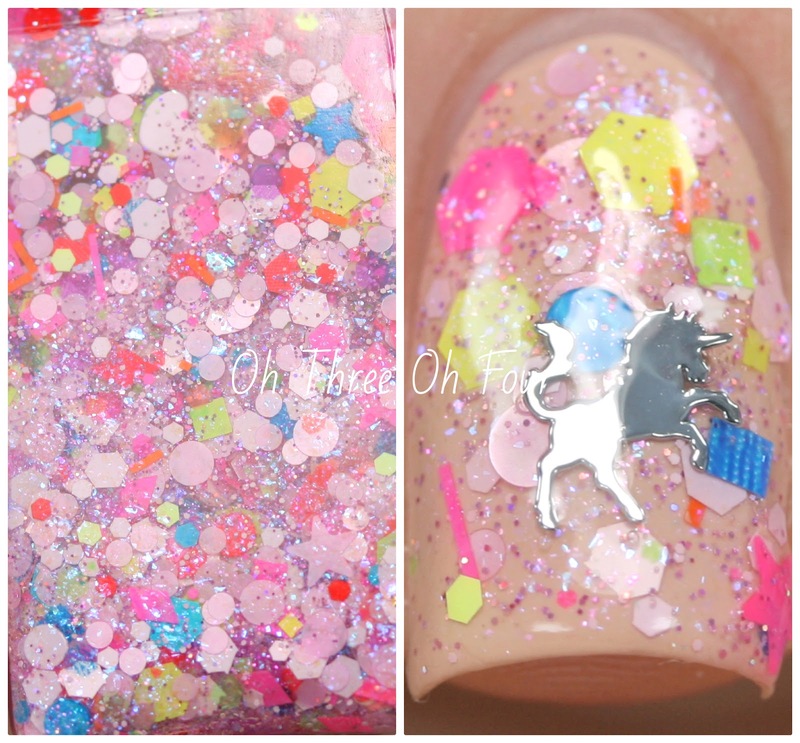 My Little Unicorn was created to celebrate the Year of the Horse by celebrating unicorns! The lacquer features a bed of assorted matte and satin cool pink shapes, matte neons, lilac-pink holographic microglitter, blue iridescent flecks and multishimmer in a clear base. A packet of tiny silver (copper backs) nail art unicorns is included. 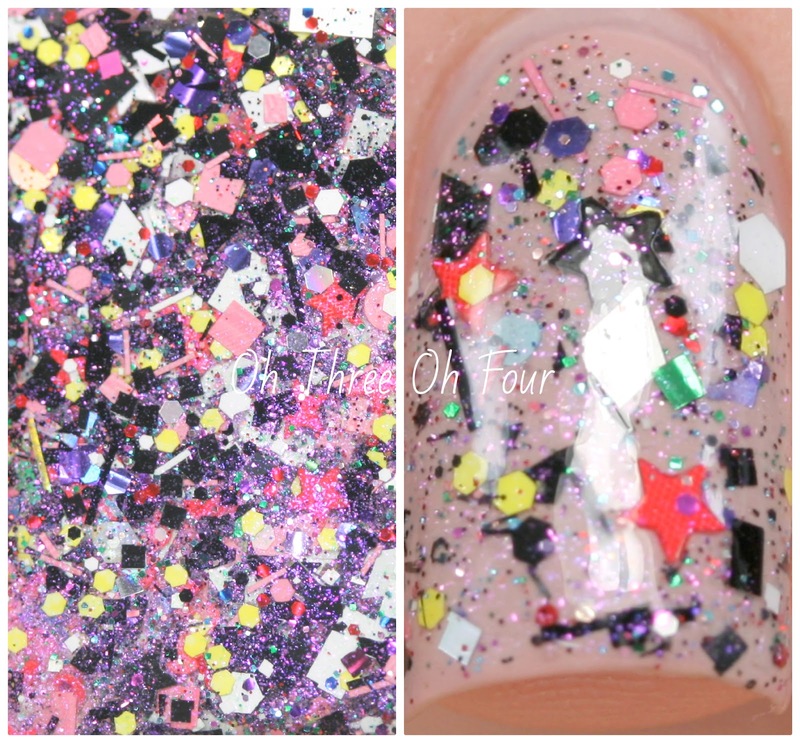 These photos are 2 coats over 2 coats of Zoya Chantal.